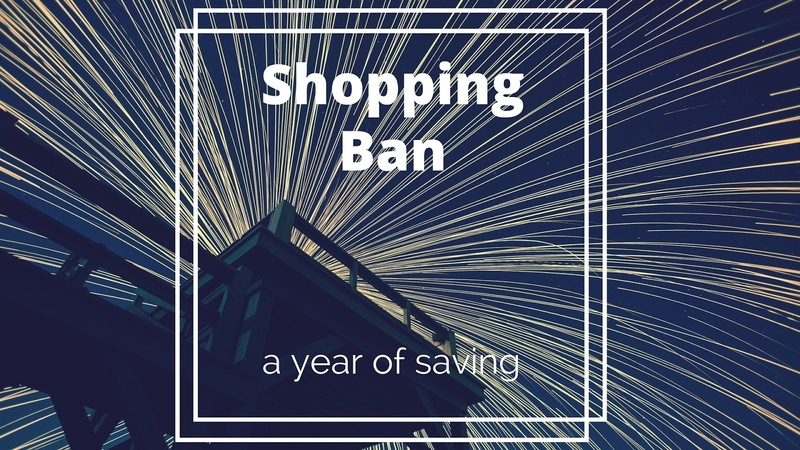 If you saw my last goals post, you might have noticed that one of my summer goals was to work out some sort of shopping ban or spending freeze challenge for myself. I've done many versions of these with varying degrees of success, but I've always done particularly well with one month long spending freezes, during which I buy nothing but groceries (and I pay my regular bills of course.) 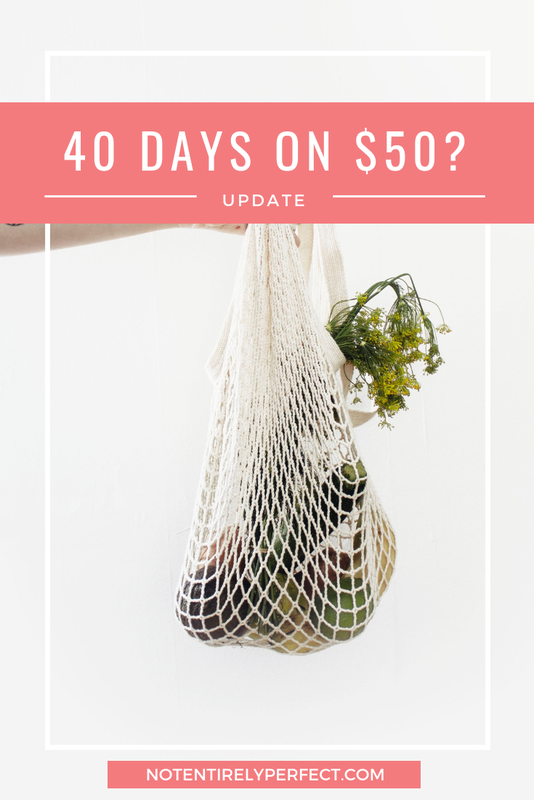 These have always been a great way to save money and really analyze spending in certain areas - I tend to put the restrictions on myself after a month of particularly high spending in a non-essential category, like eating out or clothes shopping. After reading Keira's post (and after being a long time follower of Cait Flanders), I decided now might be a good time to start in on a full time, as long as possible shopping ban. Like Keira, what I value and what I am currently spending my money on don't always line up. Cait is about to finish 2 years of being on a shopping ban. I'd just like to make it through the Christmas season! But a full year would be fantastic. A shopping ban is, essentially, just what it sounds like - a ban on (unnecessary) shopping. Personally, I'd love for it to also mean 'stop paying my bills' but I suppose my utility companies would frown upon that. Party poopers. So I'll just be cutting out the things I don't deem essential. - Clothes, Shoes, Accessories. Easy. I don't even like buying clothes or shoes, my mom generally does it for me still! - Makeup. This will be hard, as I'm still on the hunt for my holy grail products, as mentioned in my 101 in 1001 list. I'll buy something if I legitimately run out, but when's the last time that happened?! - Coffee. I'm really good about this already, but it should be included anyway. - Eating Out/Ordering In. I can't ban this completely, it's not possible. But I am banning it 'unless there's a good reason' and good reasons only include birthdays or occasional meet-ups with friends I haven't seen in awhile. This category in general is my biggest vice and my biggest spending trap. Any advice would be appreciated! - Candles. Specifically, Bath and Body Works 3-wick candles. It's on here, no going back now. Not going to stop me from reminding John when a good sale is happening or sending links of my favorite scents to my friends and family when they say 'I have no idea what to get you for Christmas!' But I am not buying any candles myself. - Planners, Notebooks, Pens, Anything Related. Basically I need to stay out of the office supply store. - Household Items. We got a lot of stuff and while I admit we need 'decor' things (though I loathe decor, what's up with the bare walls hate? I like my paint color. ), I think we can stand to wait and figure out exactly what we might need. - Pet Stuffs. Princess is spoiled, that will continue to be the case. She gets good food and lots of treats. - Getting My Hair Done. I cannot and will not box dye my hair. - Things Within Reason on my 101 List. I don't consider 'buy all the makeup to find a holy grail' to be within reason when I already have a pile of things to test. But the treadmill would be legit, as would concert tickets or the price of getting out to Brookfield Zoo or a haunted house. - Hosting Duties. I'm hosting Halloween and I'll buy whatever I need for the party. - Visiting Tara in Iowa City. It's already planned so I'm definitely going! - Cabs (When It's Late.) I don't take cabs as much as I used to, because it's just not feasible any more where we live to take cabs to and from work, like I did from my apartments when I was feeling lazy. I'd just sit in traffic for an hour. The only cabs I usually currently take are when I'm heading home when it's late, which I'll continue to do because safety first. Something else I'm also doing at the same time that's worth noting - the one in, one out rule. This is a goal that's specifically outlined on my 101 list - don't acquire anything new without discarding something in it's place for one year. Notice I specifically said 'acquire' and not 'buy.' Remember I said how my mom loves buying me clothes still? (She's a shopping fiend.) This means that not only am I not buying anything for 1 year, I'm also getting rid of something if she, or anyone else, gets me something. Mom buys a new top? I have to get rid of an old one. For clothes this won't be hard for me, since I like to keep my wardrobe extremely small. But in other categories it might be tough! What if I get 10 candles for Christmas? (Oh I can dream!) Then I'd have to get rid of 10 things in my house. Not necessarily the same item, but 10 items come in, then 10 items must leave. For one full year. It's the best way to avoid the clutter creep, particularly in this new house where everyone wants to buy me things. I would say the exception to this is patio furniture. It's on our list and we have nothing out there, so I don't feel the need to get rid of anything when it comes in. 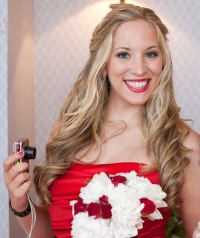 Why, Stephanie? Why?!? Why the hell not? Sounds like fun to me. Maybe I have a weird definition of fun but you also probably think it's fun to go to the beach, which to me sounds like torture. I want to do it. I want to have even less things, I want to save as much money as possible to pay off our mortgage as quickly as possible. A good reason for doing this now though, specifically, is because John is starting a new job. I can't say exactly what it is yet, because I don't want to jinx it and it's his dream job, but he starts in the middle of this month. It will be an immediate pay cut. The training is 6 months and then for 6 months after that he cannot work any other jobs on the side. (If you guess what it is, I will confirm. Some of you already know!) Although his pay goes up after the 6 month training and continues to go up every 6 months or so for 2 more years, it's still 1 full year without being able to work his construction job. I feel like there's no better time to institute a shopping ban, because he'll already be on board! Maybe not by choice, but I'll take what I can get when I live with someone whose 72 t-shirts prove he is decidedly not a minimalist. Starting on a Friday is a bit strange to me, since I'm a Monday start kind of girl, but I figure with the July 1 date it would be easy to remember. I have a cute little Spend Well budgeting system that I'll be using to track every single thing I spend money on. I don't know that I'll be posting monthly updates on this, because I'm hoping there's not that much to post! I will update a ton on Twitter and Instagram though, and I'll make some blog posts when I feel like it's necessary. 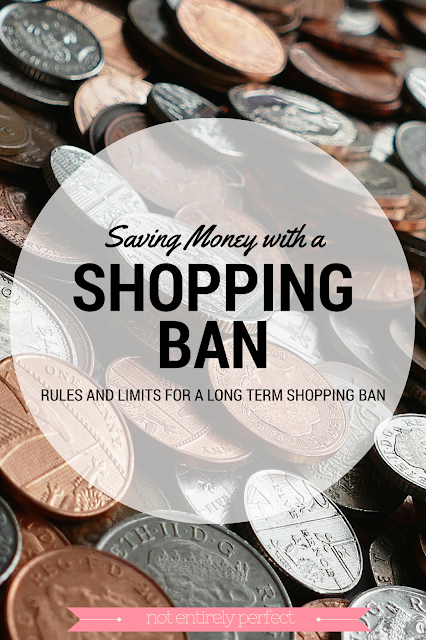 Have you ever done a spending freeze or shopping ban? Did you have any success?